Welcome to Episode 117 of SunCast, Solar Warrior! Adam James was the first guest on SunCast and returns to celebrate the 3rd Anniversary and talk about his new role at Energy Impact Partners. 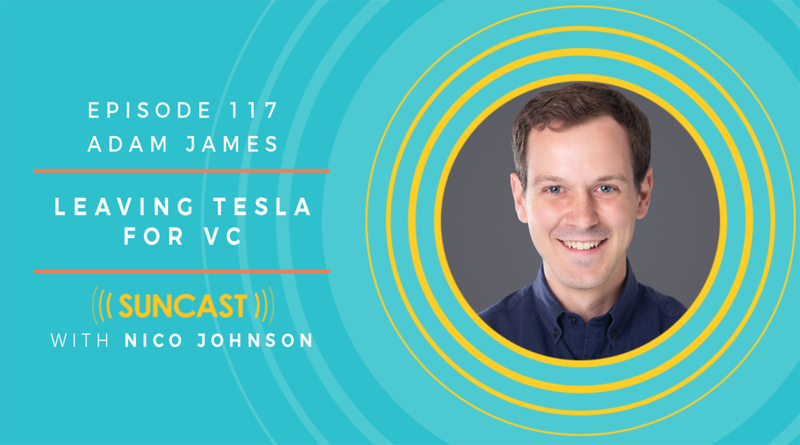 This episode is a reunion of course, but it's also a fascinating look into how Adam spent the last 3 years at SolarCity, then Tesla, and most recently his foray into Venture Capital at Energy Impact Parters.